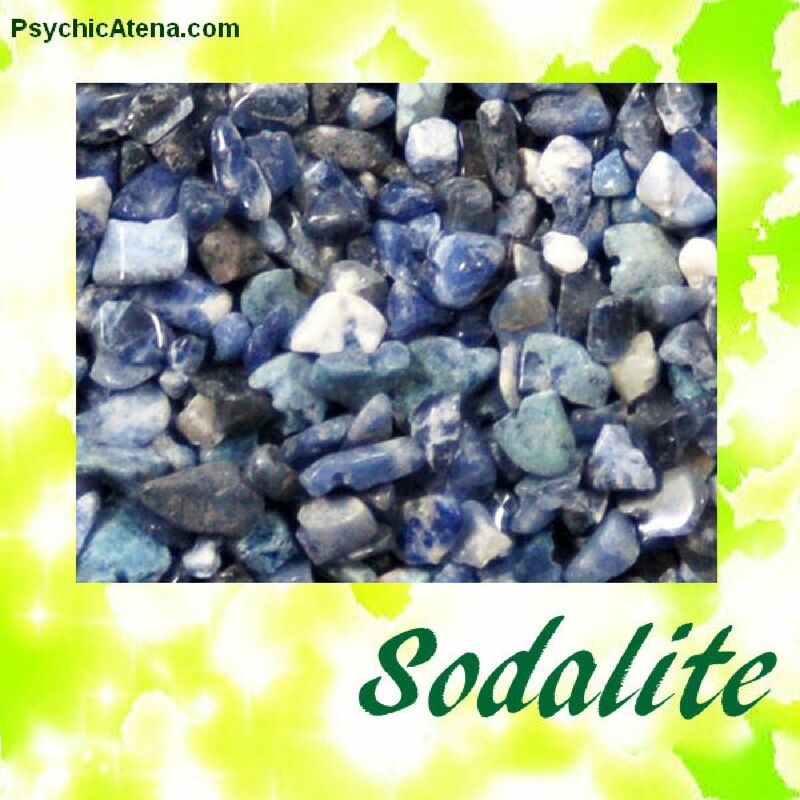 Sodalite is a beautiful blue and white mineral and is not considered a rock at all. A light, relatively hard yet fragile mineral, sodalite is named after its sodium content; in mineralogy it may be classed as a feldspathoid. Sodalite was not a popular mineral until vast deposits have been found in Ontario, Canada. Now the mineral is also mined in Brazil and Greenland. Sodalite is stone for light and healing. It calms the mental and emotional state, helping to clear anger, despair, disappointment, gloating and rage. Helps to control pride, ego and calms frazzled nerves. On a more physical level, Sodalite has been said to lower high running energies, cool tempers and help lower blood pressure. Carry sodalite into negotiations, court cases or debates to keep a level head and poised temperament, and help keep track of events, facts and figures. Sodalite is often carried to inspire prosperity and harmony in all areas of life. Sodalite promotes strong intuition, mental clarity and memory recall. Sodalite inspires harmony, mental clarity, intuition, memory, healing, idealism, truth, power and prosperity.